I’ve been interested in this scope since late 2014. The Celestron TravelScope 70 turned me on to the joys of refractors back in 2012, which led to the C102, which led to the C80ED, which got me firmly hooked on low-power, widefield scanning, which led to this. This is the Bresser Messier AR102S Comet Edition, which I believe is a record for the longest name of any telescope I’ve owned. And you actually do need all of it, because there is another Bresser Messier AR102S that is a completely different scope. That other AR102S is a standard f/6 achromat. 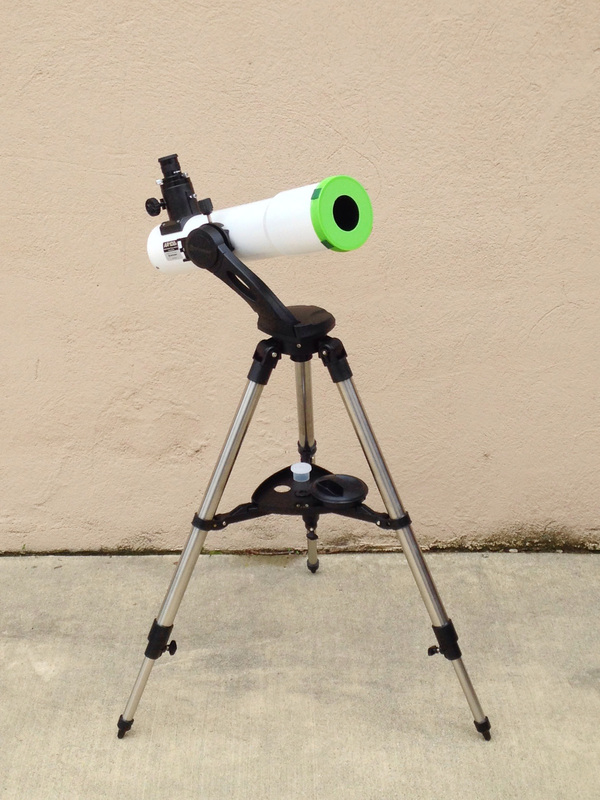 The AR102S Comet Edition is an f/4.5 rich-field scope. And as you can see from the photo, it’s built funny. 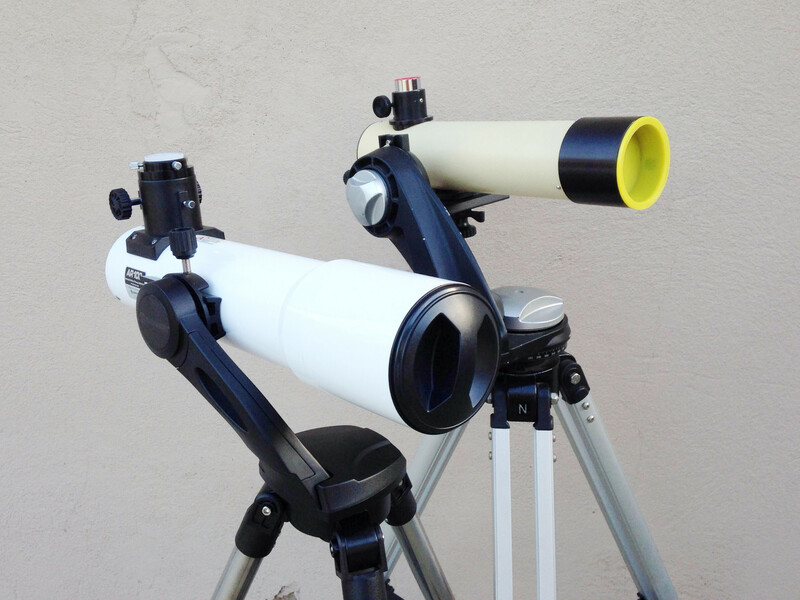 Instead of having the focuser at the back end of the tube, the focuser is mounted on the side of the tube, as in a reflector, and a reflector-style secondary mirror* bounces the light from the objective lens to the eyepiece. This makes for a very short, compact scope, and theoretically for easy collimation via that secondary mirror (I haven’t tried that yet). 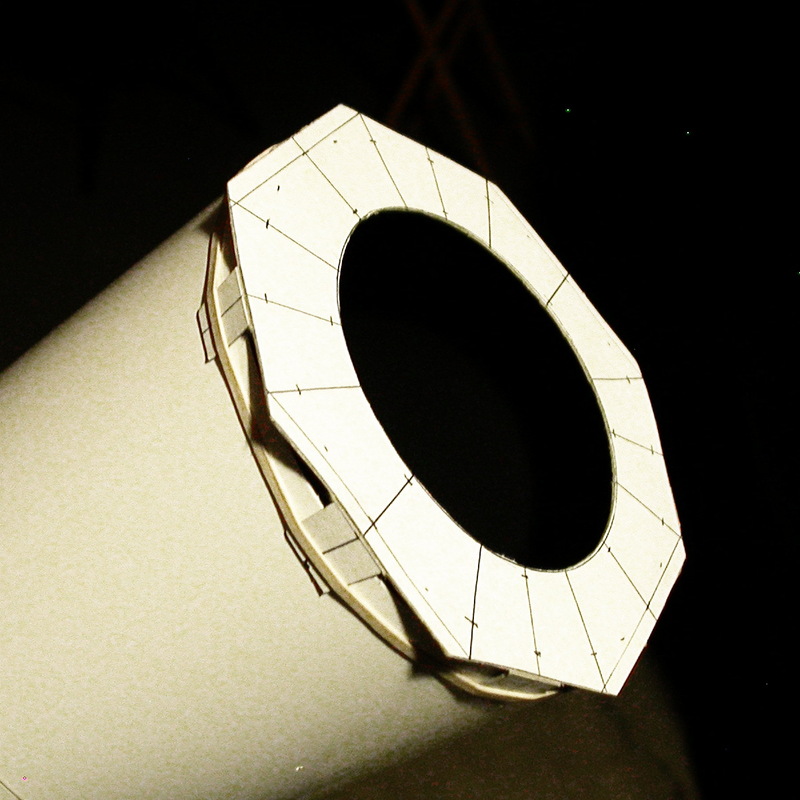 Scopes like this are sometimes called “reflactors” because they combine an objective lens with a secondary mirror. I’ve seen ATM builds using this design, but I’ve never seen another one marketed commercially. * Existential telescope question: is it still a secondary mirror if there’s no primary? As far as I know, this scope has only ever been sold as part of a travel kit that includes the OTA, an eyepiece, an alt-az mount, 7×50 binoculars, and a backpack to carry it all. That package has a list price of $349, but the list price has been creeping downward. Explore Scientific’s online store and OpticalInstruments.com both carry the AR102S Comet Edition (man does this scope need a nickname) package for $299, but B&H Photo-Video has it for $249 with free shipping. Amazon used to have it for $249 as well, but I seem to have gotten the last of those – as of this writing, the price is hovering in the $340s . I’ll have a first light report along soon, this one is mostly photos of the unboxing and the scope. 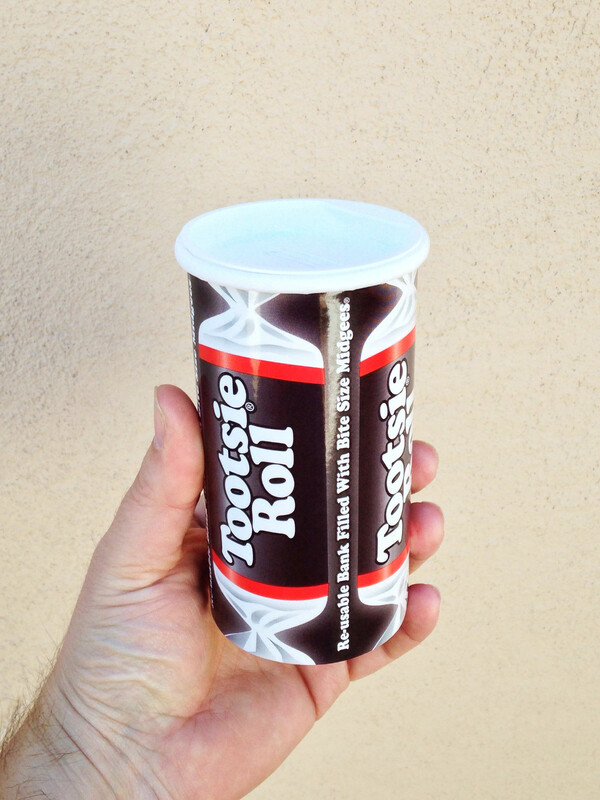 …contains the inner box. That’s right, three boxes before you get to anything other than packing material and the instructions. Inside box number three are the backpack and two more boxes. Inside the backpack is the OTA in a plastic bag, and on the right you can see the eyepiece peeking out of the side pocket. Oh, also in the backpack are the 7×50 binos. Everything bagged. And inside the bags, the telescope OTA with wrapping paper, the binocular case with the binos in yet another plastic bag inside that, and the eyepiece bolt case with the eyepiece in yet another plastic bag inside that. Oh, and a couple of hex wrenches inside the bag with the bolt case, for collimating the OTA. And here’s everything finally outside of the various bags, bolts, and cases. 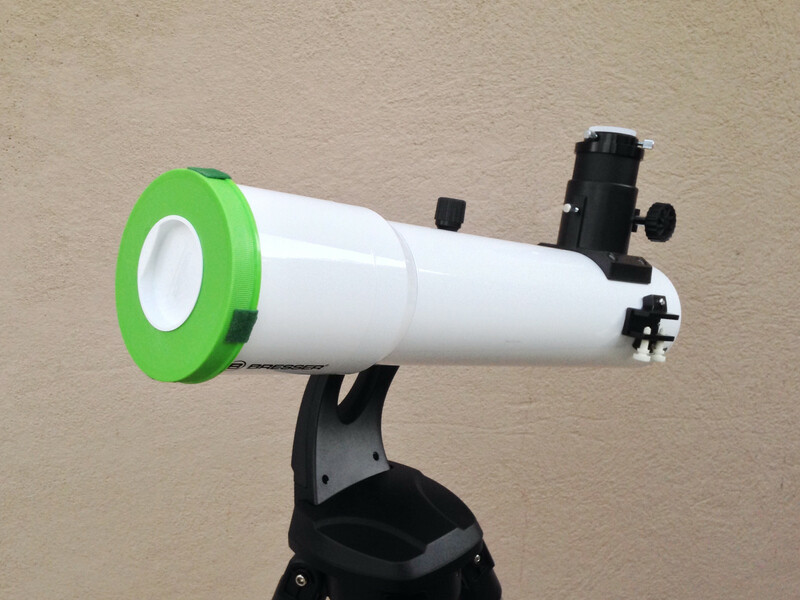 The OTA is 20″ long and 4″ in diameter, with a 4 1/4″ diameter dew shield. In the shots before this one, you can see the dovetail on the right side of the OTA, and here you can see the shoe for a finder (not included) on the left side of the OTA. Having the dovetail on one side and the finder shoe on the other is convenient, because it means the OTA can’t roll over and bang the focuser if you set it down on a flat surface. Here’s the lens cap. 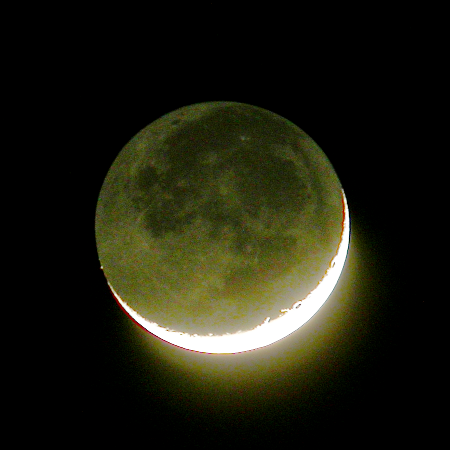 If you’re thinking it looks like a Meade, you’re not wrong. 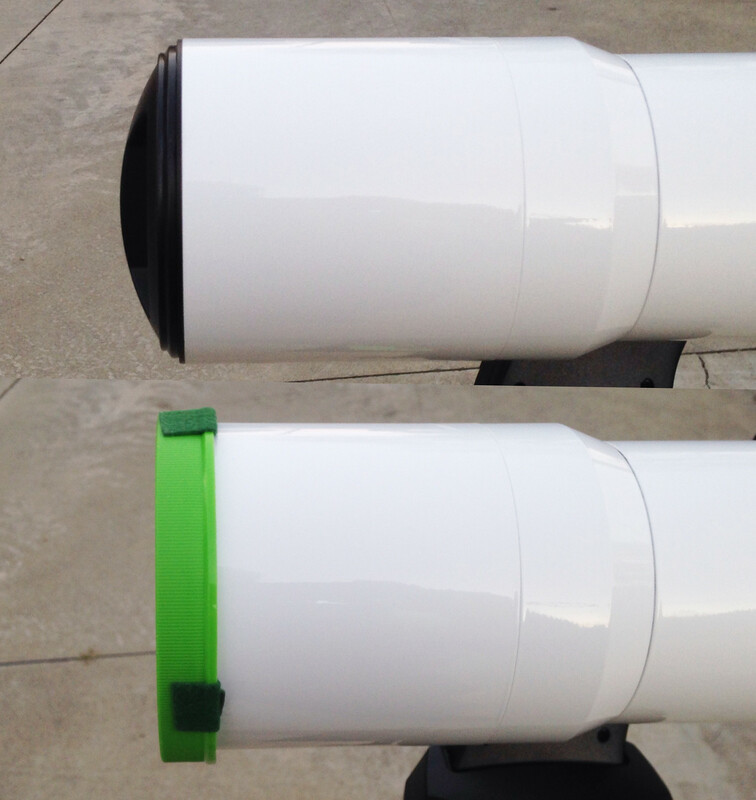 And way down inside the dewshield, 4 1/4″ in, is the objective lens, with its dark green anti-reflection coatings. The achromatic doublet is fully multicoated. 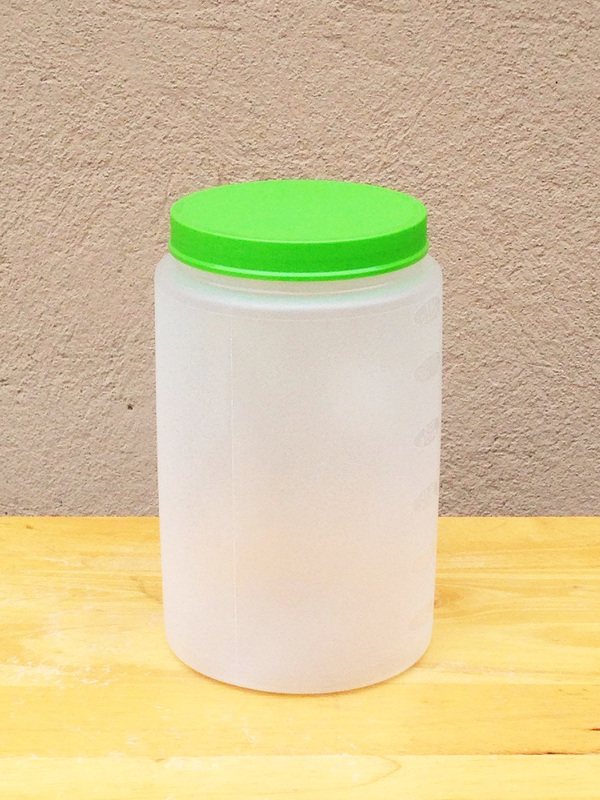 The dewshield has an outside diameter of 4 1/4″, and an inside diameter of 4 1/8″. Past the objective lens you can also see the single baffle inside the OTA, which is otherwise just painted flat black inside. Remember those other two boxes? The long one has the tripod and the short one has the alt-az head. 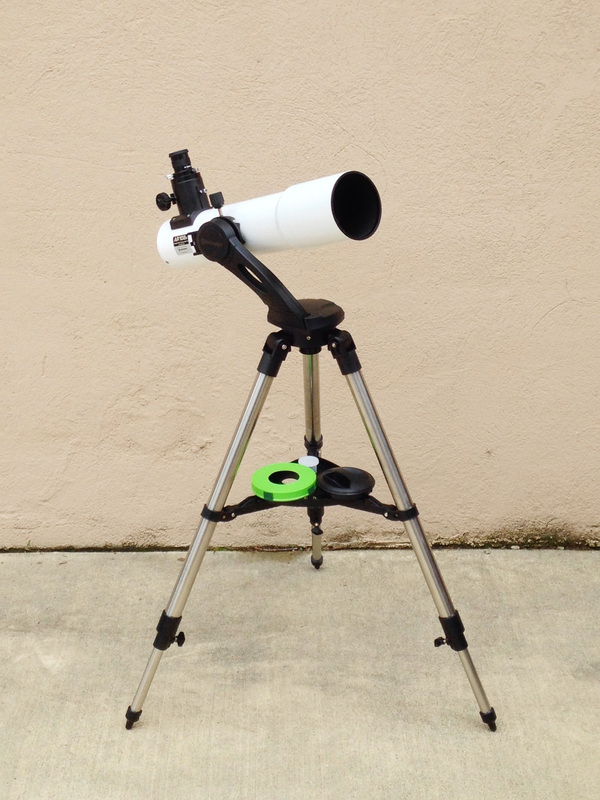 The alt-az head, which is metal, and the eyepiece tray, which is plastic. The mount assembled. 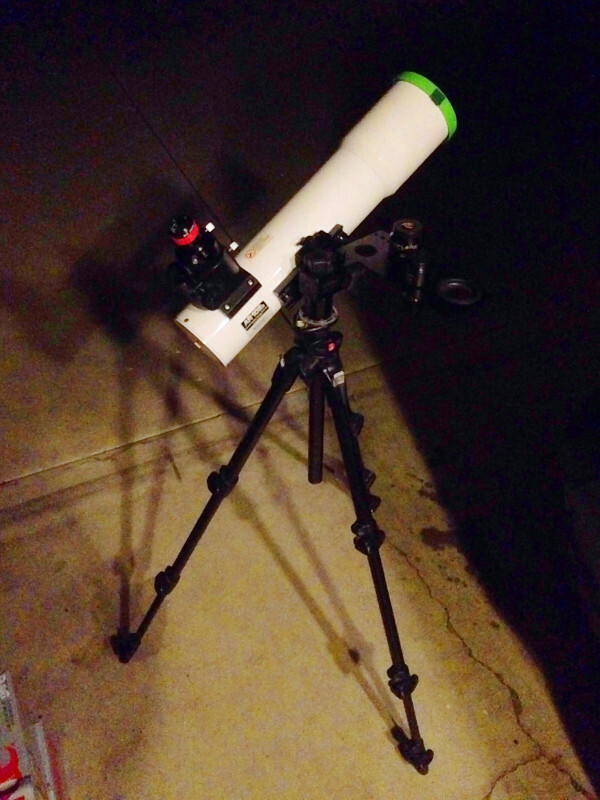 The alt-az head looks like my SkyWatcher AZ-4/Orion VersaGo II, but it lacks the adjustable tension knobs. Here’s a feature that I really like: the eyepiece tray goes solidly onto the spreader bars with no tools. It threads over a central bolt, and then rotates to snap into position. This is super-handy at the end of the night, because I can unlock and rotate the eyepiece tray without taking it off, and fold the tripod legs in just enough to get through the door. The whole rig set up. The tube looks not quite square here, but that’s just field distortion from the iPhone camera, which we’ve seen before here. The OTA weighs 6.2 lbs, the mount weighs 6.8, so the whole rig clocks in at 13 lbs even. That’s pretty portable, although certainly at least flirting with being undermounted. More on that in the first light report. User end. The eyepiece is a Bresser 20mm 70-degree model, which is currently on sale for $40, down from $60, at OpticalInstruments.com. If you’re thinking that $60 seems like not much money for a new fully-multicoated 70-degree eyepiece, I agree, and I am likewise suspicious. I assume it’s some kind of Erfle, but I haven’t taken it apart to confirm. The size, form factor, and even barrel detailing are very similar to Orion Sirius Plossls, but the eye lens is just slightly too big for Sirius dust caps to fit (which is a shame, since it gets in the way of me stuffing this thing in my pocket while I swap Plossls and Expanses around). It gives 23x and a 3-degree true field of view. Here’s the left side of the back end, showing the finder shoe, the collimation bolts for the secondary, and another look at the focuser. The focuser is an all-metal rack-and-pinion job. 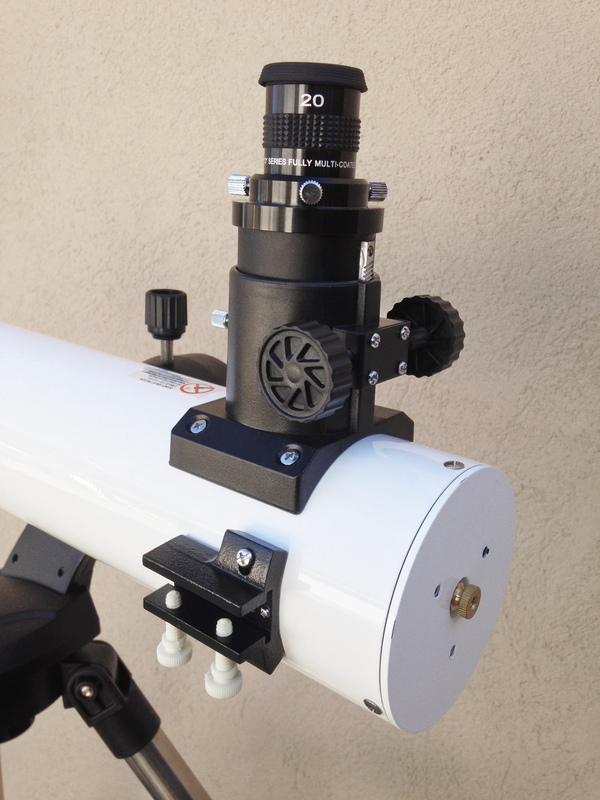 Oddly enough, the focuser drawtube is 2″ in diameter but the 1.25″ adapter at the top is permanently mounted. 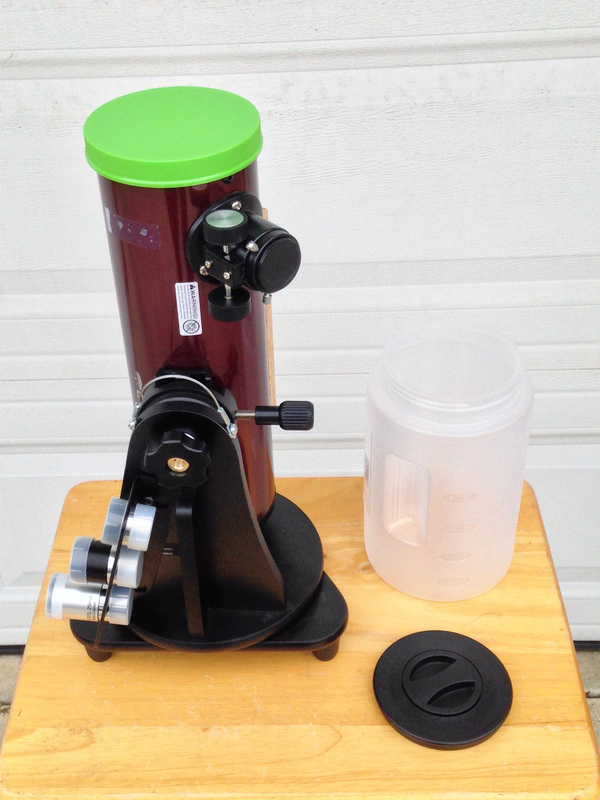 So it’s a 2″ focuser that only accepts 1.25″ eyepieces. I think there’s a reason for this – the focal plane is 6-7 inches (150-175 mm) away from the center of the OTA, which means at least a third of the 459-mm light path occurs after the light hits the secondary. 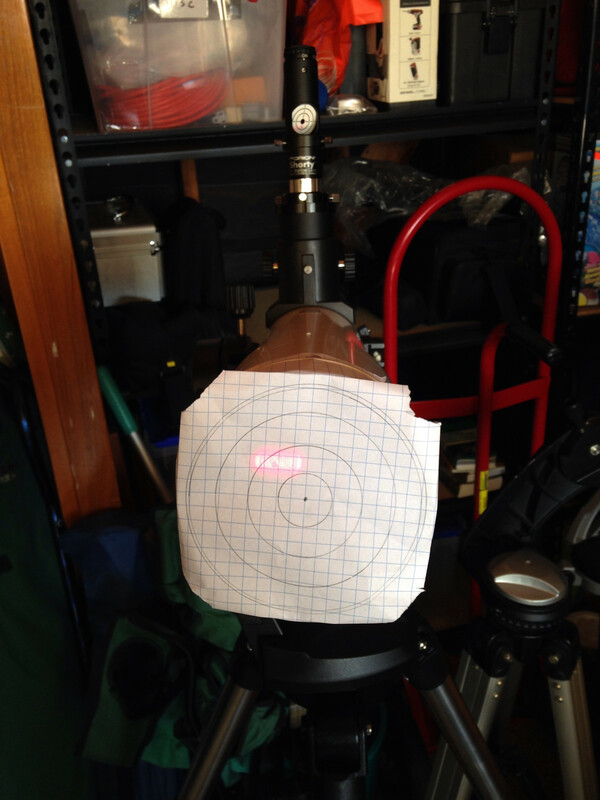 I think a 1.25″ drawtube would cut into the light path and stop down the scope. The finder shoe is not one I’m familiar with. Almost all of my experience is with gear made by Synta (Orion/Celestron/SkyWatcher), which uses the same mostly-but-not-quite industry standard dovetail shoe for finders. This is a weird square rig that is outside my experience. I probably won’t use a magnifying finder – I can get by okay just dead-reckoning, and when I feel like cheating I can lay a laser pointer along the dovetail shoe or the square edge of the focuser and get on target very fast. But I might put a counterweight there, to get the balance point a little farther back so the eyepiece height would change less going from horizon to zenith. 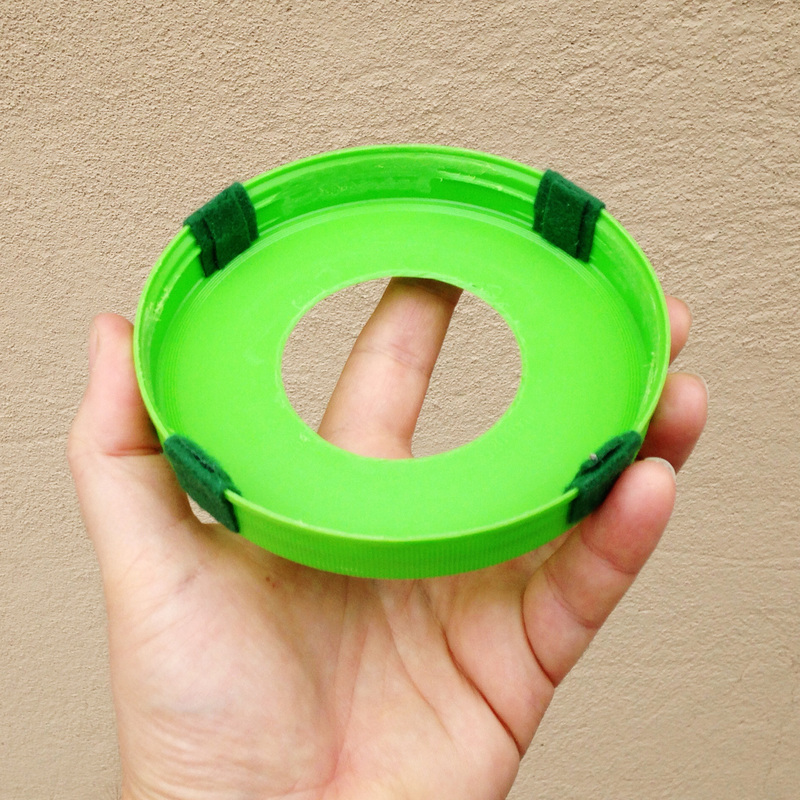 Or here’s an interesting thought: I bet I could gin up an eyepiece rack that would attach to the finder shoe. That would be cool, convenient, and a counterweight. Here’s the focuser again, with the axis drawn in blue. This is to make a point. 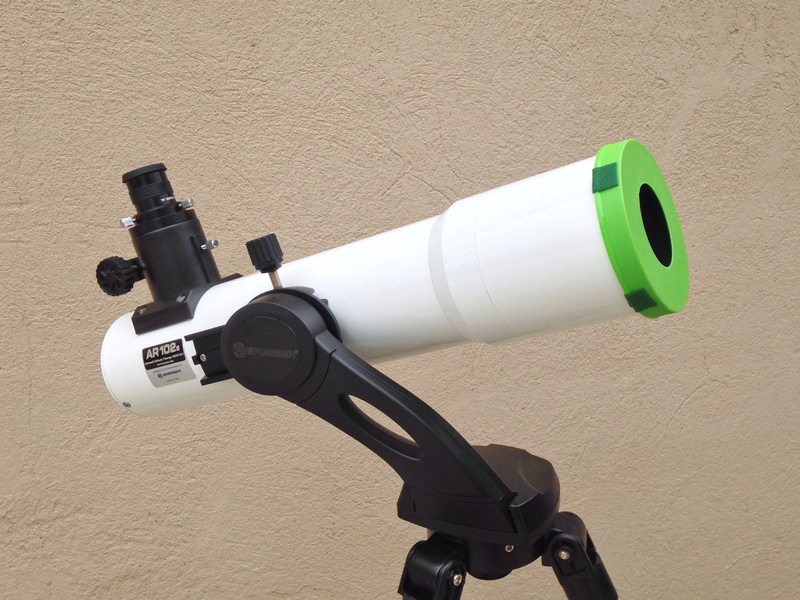 I’ve seen one or two folks on Cloudy Nights alleging that this is a “leftover scope” – that Bresser/Explore Scientific had some leftover tubes, leftover secondaries, and leftover focusers, so they cobbled it all together into this Frankenscope. But that doesn’t hold up. 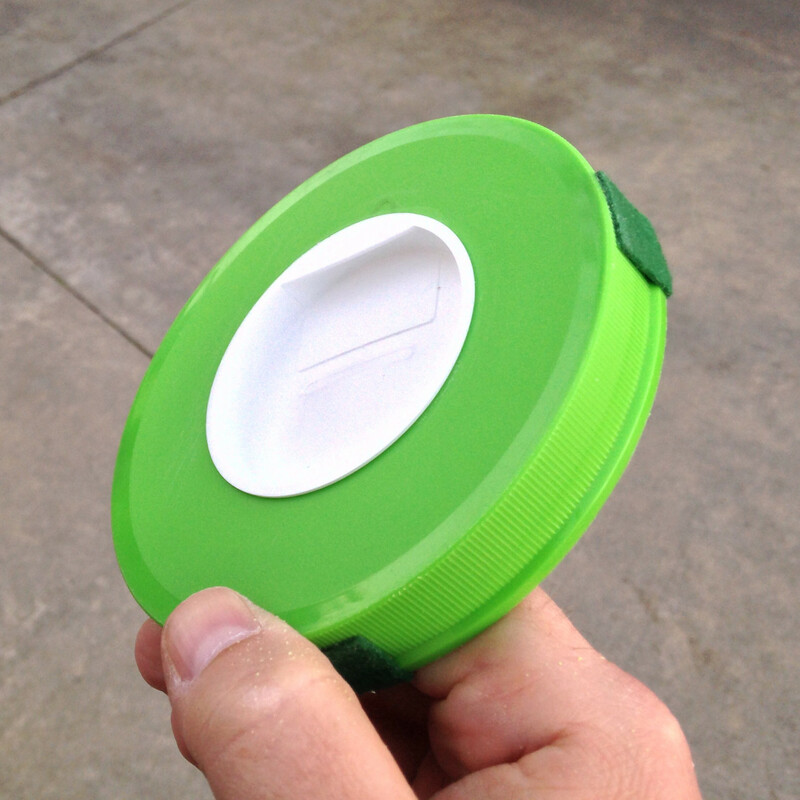 The focuser is a single-piece aluminum casting with two features of note. 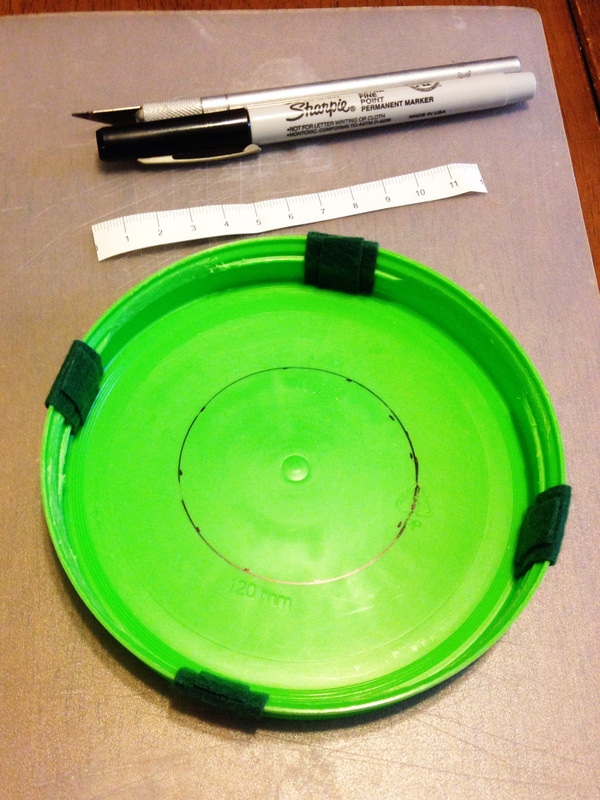 First, it wraps tight to the 4″ diameter tube, which if it was leftover from a reflector would have housed a smaller-than-4″ mirror. There are 3″ reflectors out there, like Orion’s SpaceProbe 3 , but no-one puts 2″ focusers on them. 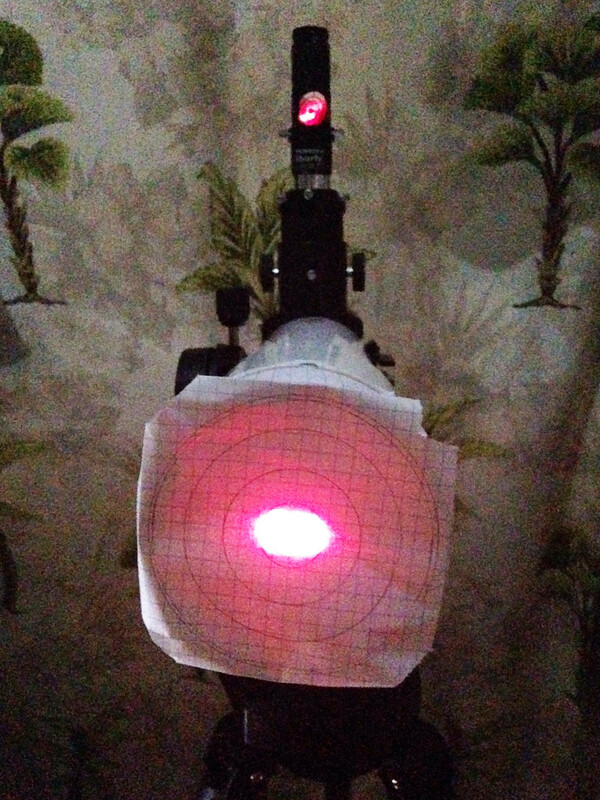 Second, and more importantly, the focuser knobs point across the tube on this scope – that’s what the blue line shows in the image above – as opposed to down the length of the tube as in all mass-produced reflectors. Again, the focuser is a single chunk of aluminum – the 2″ tube can’t be separated from the base, or rotated relative to it. So I’m confident that this focuser was purpose-built for this scope. The “leftover scope” idea was pretty dumb anyway. The most expensive part of any refractor is the objective lens, which has to be figured to a tolerance of a millionth of an inch. The rest is just steel, aluminum, plastic, and fasteners, which cost peanuts by comparison. As far as I’ve been able to tell, neither Bresser/Explore Scientific nor their parent/partner Jinghua ever sold a 4″ f/4.5 scope before. It doesn’t make any sense to figure a bunch of bespoke objectives – the expensive part, especially after full multi-coating – just to sell the cheap hardware. 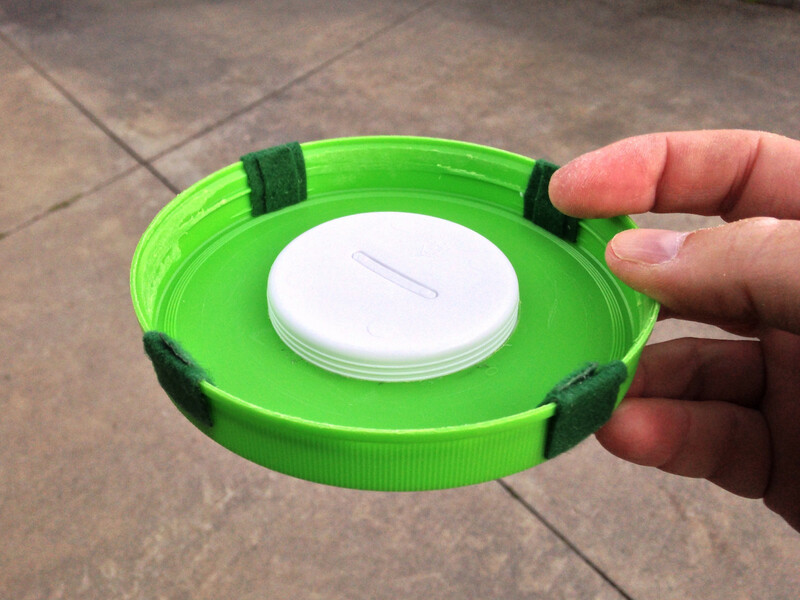 So, somebody decided that a fast, 4″ reflactor was a good idea. Were they right? Tune in next time and find out. You are currently browsing the archives for the reflactors category.